Find your way. English language tutoring and college counseling. My Mustaqbal was founded to expand career and education resources for refugees and displaced persons across the globe seeking to continue their higher education by virtually connecting them with volunteers offering university preparation counseling, mentorship, and tutoring services. As the uprisisng and instability in Syria approaches its seventh year, more than 11 million Syrians have are either displaced or have fled their home country. NGOs and the international humanitarian community are at the forefront of providing aid and resources for refugees to integrate into their host countries. Despite the robust social programs NGOs provide, they tend to disproportionately benefit women and children, a fact that Saraphin witnessed firsthand as an intern at Small Projects Istanbul (SPI), a local nonprofit in Istanbul, Turkey providing social services to assist in integrating refugees into Turkish society by providing language classes for families and livelihood opportunities for women. An overlooked, vulnerable population within the refugee crisis are the young, single males, ages 18 – 34. These men are vanguards for their families – sent ahead to neighboring and European countries to secure a living and home for the rest of their family in war-stricken Syria and Iraq to follow. However, such expectations for the men fall short, as they are unsuccessful at getting their respective host government to recognize their university degrees, they face great hardship securing a job in their respective profession, and they are forced to work 12 –15 hour shifts in factories and the tourism industry with little to no pay. In such instances, refugee men are victims of exploitation, susceptible to disenfranchisement, and vulnerable to joining outlawed groups and organizations. In order to secure a brighter future for this neglected population, Saraphin started a career service center of sorts while at SPI, with full faith that beneficiaries could legally make way to Europe and maximize their opportunities, credentials, and professional expertise by enrolling in a European university. With the help of volunteers at SPI, Saraphin researched and found a number of reputable scholarships, fellowships, and universities that offered refugees the opportunity to study at a European, American, and Australian institution of higher education, and she worked with four beneficiaries that summer on their university and scholarship applications. From the statement of intent, to contacting recommenders and networking with current students at the university, Saraphin trained the beneficiaries on interview techniques, edited their essays, and mentored them through the process. She expanded her scope when a few of the beneficiaries also asked for her assistance in helping them craft a cover letter and tidy up their CV for job applications in Turkey. Upon returning to the U.S. in August 2016, Saraphin continues to help with college applications, job applications, and interview preparation through Skype. As the conflict in Syria and Iraq continues and refugee migration continues, the population of young refugees seeking assistance to further their education and livelihood opportunity is set to grow. Recognizing the potential of career services, Saraphin founded My Mustaqbal, and with the help of Cali Stenson, expanded these resources for refugees and displaced persons of all genders across the globe seeking to continue their higher education by virtually connecting them with volunteers offering university prep counseling, mentorship, and tutoring services.. Volunteers are vital to our program and ensure that beneficiaries receive the guidance they need to continue their higher education and work towards rebuilding a better tomorrow for themselves. Sign up to help beneficiaries prepare for their TOEFL/IELTS exams. At a minimum, meet with the tutor at least once a week or two hours a week via Skype. Create a timeline with your beneficiaries on milestones he/she would like to achieve leading up to the IETLS/TOEFL exam. Develop and assign curriculum unique to the beneficiaries, keeping in mind his/her strengths and weakness of the beneficiary. Measure progress by assigning a practice English exam before the first tutoring session, and periodically as the course continues. Assign homework and assignments as necessary and hold beneficiaries to complete all relevant work. If repeated issues arise, contact Saraphin at sdhanani@wellesley.edu. If you are an organization specializing in providing English Language tutoring services and would like to partner with us, please email Saraphin Dhanani at sdhanani@wellesley.edu. We look forward to hearing from you! Guide beneficiaries through the university/college application process by bringing your experience and expertise from your own college application process to the table. Working with beneficiaries via Skype over a span of three months to complete, at a minimum, two applications. If your beneficiary has further applications that need to be completed, you can provide them with general guidelines on how to proceed with those applications. If you would like to continue your mentorship beyond the two required applications, you are welcome to! Double-checking that the list of universities and scholarships beneficiaries provide you with align with the application deadline that the beneficiaries reference. Making sure that all of the universities and scholarships that the beneficiary is applying to allows applicants to receive third-party support and assistance in completing the application. (For example, the Rhodes Scholarship requires applicants to write their Motivation Letter independent of third-party assistance). Helping beneficiaries understand the significance of the motivation letter and working with them to connect how their past experiences are connected to their interest in pursuing a higher education in the field of their choosing. Guiding beneficiaries on conducting research on the university and scholarship they are interested in applying to, so they can include these interests in their motivation letter. Editing and helping format the motivation letter. Helping draft and editing the CV. Helping beneficiaries get in contact with their recommender and request a letter of recommendation. Because of the current war in Syria and Iraq, beneficiaries will likely have difficulty securing a letter of recommendation, but your resourcefulness will be incredibly valuable here! Double-checking that all relevant materials are edited and ready for submission. Help beneficiaries prepare for their upcoming university entrance interviews. The light at the end of the tunnel is even brighter once beneficiaries receive an invitation to interview. Whether it is a job interview, a university entrance interview, or a scholarship interview, the stakes are high for beneficiaries to present the best version of themselves to secure a position in the program they’ve applied to. Conducting a one-hour mock interview with a beneficiary. Providing feedback, tips, and ways to improve at the end of the interview. Scheduling follow-up mock interviews if the beneficiary would like further practice. Beneficiaries are refugees and displaced persons who are seeking to continue their higher education in an English speaking country/university. Our services are designed to guide beneficiaries through the university application process. Our English language tutors are here to help you improve your English language skills and prepare you for the TOEFL/IELTS exams. Be a high school or university graduate applying for university studies in an English speaking country and/or a university that requires you to take the TOEFL/IETLS exam. Have a list of universities and/or scholarships you are planning on applying to and the required TOEFL/IELTS score for entrance into those universities. Create a timeline with your tutor on milestones you would like to achieve leading up to your IETLS/TOEFL exam. Complete all relevant assignments in a timely fashion and abide by deadlines set forth by the tutor. If you are unable to meet a deadline, get in touch with your tutor and let him/her know ahead of time. Our tutors are flexible, but they are also dedicating their time as volunteers. Repeated failure to follow-through could lead to a termination of tutoring services for you. At a minimum, meet with the tutor at least once a week or two hours a week via Skype. If you meet the above qualifications, please proceed to our registration form here. If you do not meet all qualifications, please also fill out the registration form, and in the Comments section, let us know which qualification you do not meet, and why it is important for you to have a tutor. We will do our best to accommodate you! Work with a mentor to prepare your university and scholarship applications. Whether you’re preparing for a university interview, scholarship interview, or a job interview, our volunteers are here to help you. Sign up now to schedule a one-hour mock interview. Our volunteers will practice interviewing with you, provide tips and feedback, and help you improve your skills for the big day! scholarship interview our volunteers are here to help you. Be a high school or university graduate applying for university studies. Have a list of universities and/or scholarships you are planning on applying to, the program(s) you are interested in, and the application deadlines. It is your responsibility to make sure you are qualified to apply to the programs you have listed. Questions about volunteering, contributing or benefitting? Contact us! 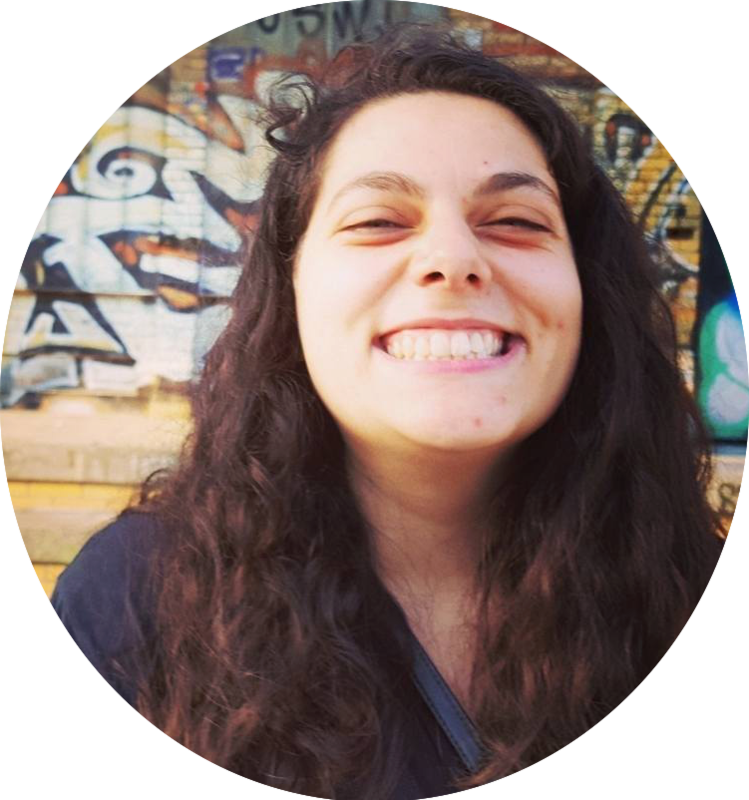 As a Madeleine Korebel Albright Fellow and an Anchor Point Fellow, Saraphin started a career service program for refugees in Istanbul, Turkey in the summer of 2016. Upon returning to New York City, she continued her service by virtually mentoring and aiding beneficiaries applying to English-speaking universities. In the hopes of expanding her program to include more volunteers dedicated in mentoring beneficiaries pursue a higher education, Saraphin founded My Mustaqbal, an online platform that connects beneficiaries seeking out university mentorship and volunteers offering their skills and expertise. Currently, Saraphin is an Analyst in the Markets group at the Federal Reserve Bank of New York. During her spare time, she volunteers at International Refugee Assistance Program (IRAP) as an Urdu interpreter and intake volunteer. Cali graduated from Wellesley in 2017. As a Wellesley alum and a Madeleine Albright Fellow she strives to have a positive impact on the global community. Cali now works for Google as an Engineering Resident and provides technical support for My Mustaqbal. If you have questions about how to use the website or are interested in using your technical skills to support the work we are doing send Cali an email.